Many of us are plagued with hair loss worries since early on in our lives. Due to the hectic lifestyle we live today, it gets difficult to take care of our hair in a sufficient way which often leads to various hair problems, including premature baldness. However, you can also start to lose your hair due to other reasons, such as hormonal changes, hereditary hair loss, burns or injuries. Cocoona helps you restore the lost hairline with in an efficient and easy way. 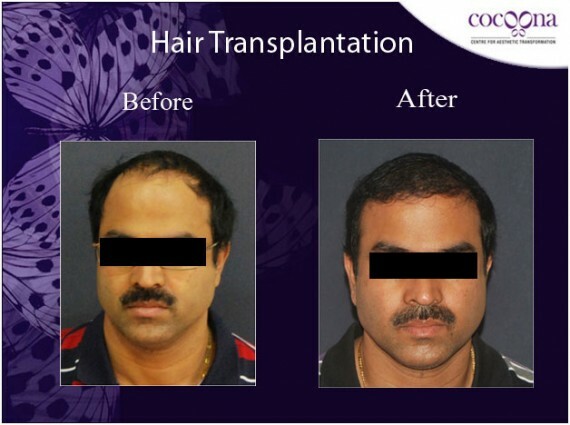 At Cocoona, the most advanced and effective hair transplant method is used to treat baldness and general hair loss which ensures better and more long-lasting results. What is Hair Transplant all about? Harvesting – This involves removing follicular hair units from a donor site on the scalp which has a higher density of hair. The hair is sourced from your scalp (usually from the back of it. Transplanting – This involves transplanting the harvested hair follicular unit to the recipient area of your scalp. 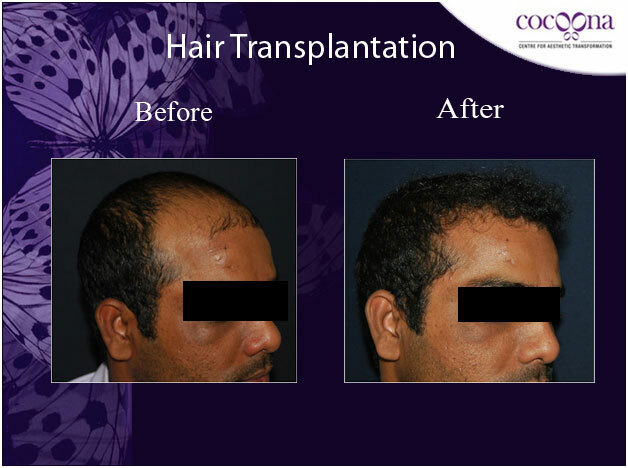 Cocoona has the most advanced and modern hair transplant technology. Our cosmetic surgeons, with the help of the cutting-edge ARTAS Robotic System, are able to treat your hair loss problems with comparative ease and efficiency. What happens in a Hair Transplant procedure? The first stage of any hair transplant procedure requires a thorough consultation with the cosmetic surgeon at Cocoona in which our cosmetic surgeon and specialists will perform a complete analysis of the scalp. This will give you and the surgeon a better idea regarding the treatment, as in the number of sessions required and expectations of the end-result, actual density of the hair, etc. The conventional procedure for hair restoration earlier involved removing a ‘donor strip’ of the scalp which has more density of hair (usually from the back of the head) and transplanting it to the ‘recipient site’. However, with the ARTAS Robotic System for hair restoration, this complete procedure has become a shorter and more convenient procedure thanks to the advanced robotic technology in use. 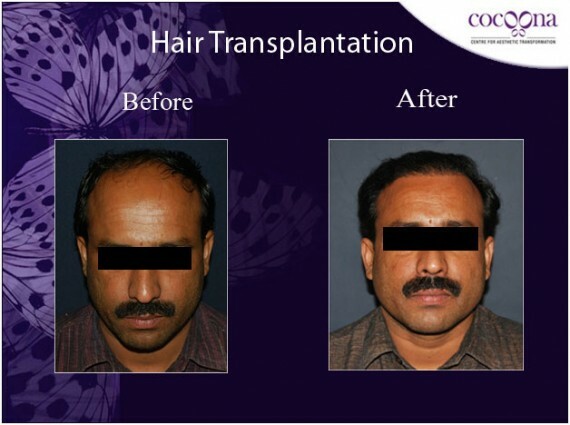 What are the types of methods for Hair Transplantation? This is a more refined and advanced approach towards harvesting hair follicles harvesting. It requires removing individual follicular units (consisting of 1-4 hairs) using micro-blades. Next, the surgeon will make similar micro-incisions at the recipient site keeping in mind the direction of the hair growth at the site and the density of hair to give a natural look to the transplanted hair follicles. This procedure might need multiple sessions depending on the size of the recipient area and the degree of hair density required. This is a more time-consuming procedure as compared to strip harvesting but is more advantageous in other aspects such as less damage risk to hair follicles, more precision and better accuracy in harvesting and transplanting. The latest surgical technique for performing Robot hair transplant procedure uses advanced robotic-assistance in performing the surgery. This involves using highly-advanced micro-cameras to detect the density and angle of the follicular units in the scalp using multiple angles from different sides. The computer-guided robotic arm works faster and with remarkable accuracy as compared to manual harvesting and transplanting and is known for being more precise and efficient as well. What are the advantages of ARTAS Robotic Transplant procedure? The following are the advantages of a hair transplant procedure. The biggest advantage with having an ARTAS Robotic hair transplant is the high efficiency of this system over the other conventional methods. This is a faster procedure and is found to be more effective and shows the desired result comparatively sooner. The better cost-to-efficiency ratio of the procedure as compared to another alternative hair growth and restoring procedures is also an added advantage. This cosmetic procedure does not require general anesthesia and is done with a local anesthesia that numbs the donor and recipient sites. Hair transplantation is done keeping in mind the uniformity of the denseness of the hair on the recipient scalp site. What is the success rate for ARTAS Robotic Hair Restoration procedure? An ARTAS Robotic hair restoration procedure is known to be successful in about 98% of all cases which is in itself a remarkable fact. There are two main factors that contribute towards a successful hair restoration procedure, namely – a number of hair follicles that can be harvested for the transplant and their availability to be successfully harvested. 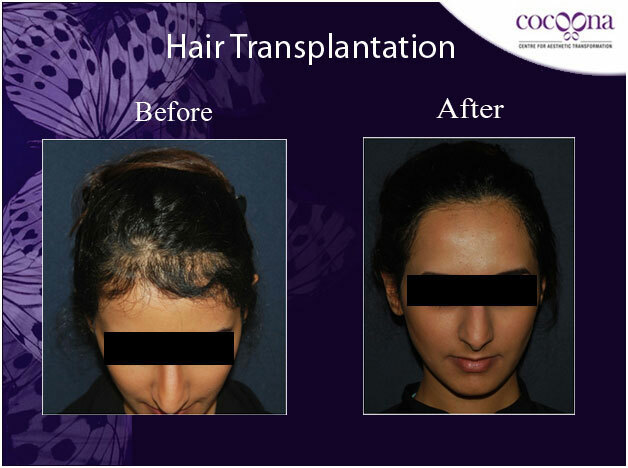 The other factor is the experience and skill of the cosmetic surgeon performing the hair restoration procedure which is ensured at Cocoona.